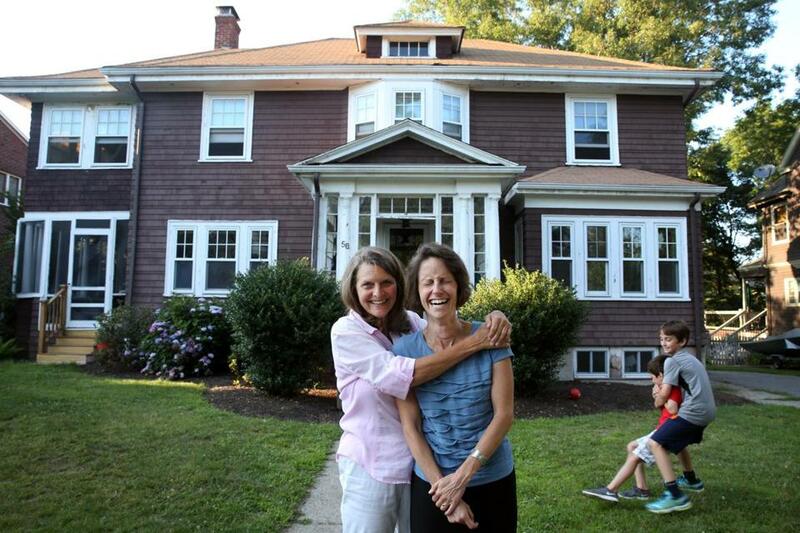 Emily Norton (on right) purchased her childhood home in Newton from her mother, Sally Fleschner. You’re at the drugstore in ancient sweat pants picking out dental floss when you glimpse a familiar face across the aisle. Could it be? Oh, no, it’s your 11th-grade prom date prowling for toothpaste! You retrieve lipstick from your purse just in time to greet him with a smile. “Great to see you. I just moved back to town!” he announces. “Me, too!” you stammer, praying that the onions you had for lunch haven’t lingered on your breath. You scurry to your car, nervous as a teenager even though you’re married with kids. No, it’s not a scene from a Judd Apatow movie, but it could be. The return to one’s hometown has been parodied in movies from “The Graduate” to “Garden State,” but for many people, it’s a desirable way of life with no drama (or stigma) attached. In the Boston suburbs — home to coveted real estate stock and many top school systems — returning to one’s hometown is often a solid bet. “My feeling is lifestyle is a primary reason why people move back to where they grew up. Nostalgia is now a driving factor in any price range. People want those side streets with the sidewalks,” says Joanne Taranto, a Gibson Sotheby’s realtor who specializes in the Concord area. This was the key factor for Pat Rezendes and Erin Souza-Rezendes, who returned to Erin’s hometown of Dartmouth after a decade in Boston and Cambridge. “We wanted to start a family and wanted to be closer to our ‘village,’ ” Erin says. “My parents are here. Pat’s dad is in New Bedford, the next town over. This is where our support system is.” Her best friend since first grade lives nearby, she says, and other friends with young families are plotting a return. It’s a different lifestyle than her days in the city — she still commutes three days a week, two-plus hours each way to her job at Cambridge’s Barbara Lee Family Foundation — but it has upsides. Meanwhile, if there’s any awkwardness over running across long-forgotten classmates, well, social media helps. “You already know what people are doing anyway. It’s not a huge surprise to see people out in town. I don’t feel like, ‘Oh man, I’m a townie. I didn’t make it in the big city.’ I grew up here, and I want to grow old here,” she says. Erin Souza-Rezendes (left) and Pat Rezendes with their daughter, Gracie. Meanwhile, the grandparents are nearby to baby-sit for Erin’s toddler, Gracie, when she’s not in day care. “In many ways, I need my parents more than I did growing up,” Erin says. 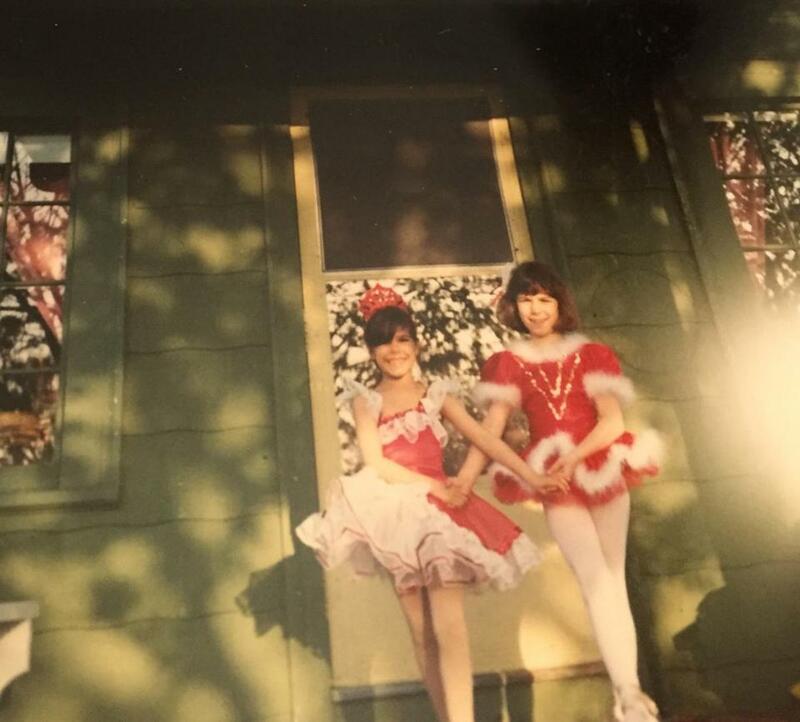 Erin Souza-Rezendes (left) and her sister, Katie in front of their childhood home. Of course, in many towns, prices have escalated more than Mom and Dad could have ever expected. “There’s no shortage of buyers getting help from their families and buying into markets that they never would’ve been able to afford. Or else people are buying a family member’s home,” Taranto says. This was the case for Robert and Emily Norton. 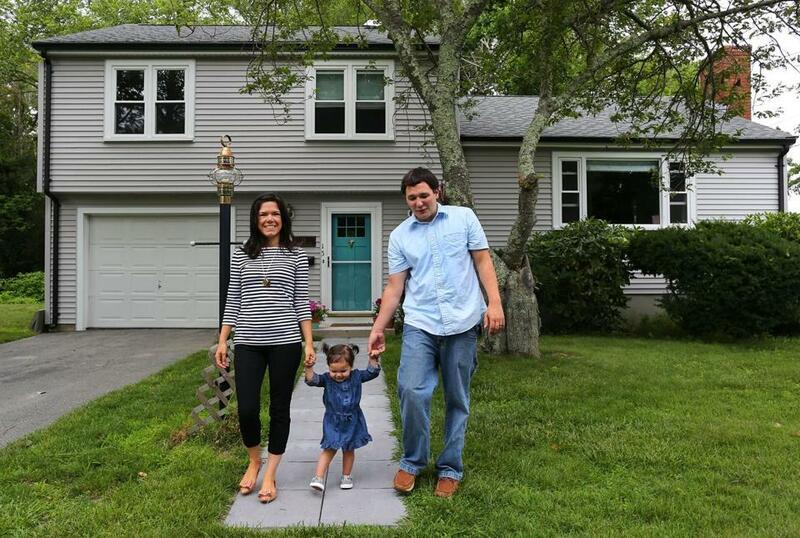 In 2003, the new parents were on the brink of outgrowing their two-bedroom Natick condo. Emily’s mother suggested that the family move into the four-bedroom Newton house where Emily grew up. The Nortons bought the home at a “deep discount,” and Emily’s mom relocated to a condo nearby. 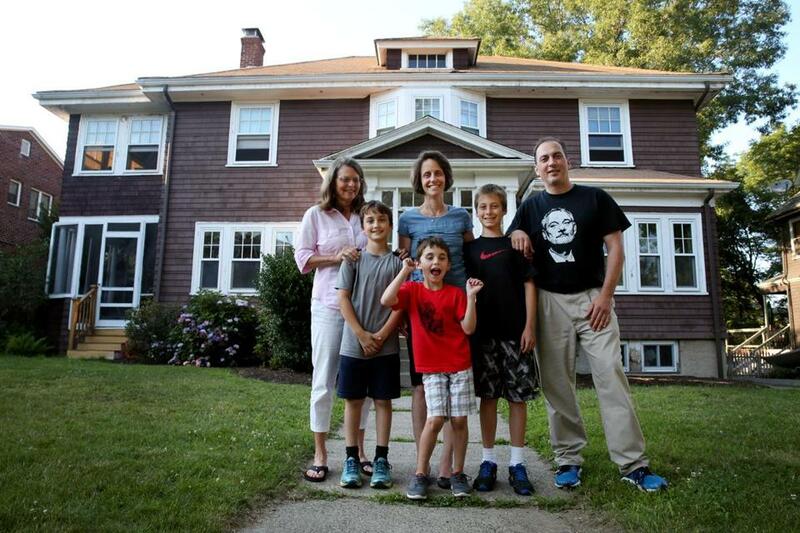 The Nortons say they wouldn’t have been able to move back to a four-bedroom home in Newton without this arrangement. Norton (back row, center) lives in her childhood home with her husband and three children. They bought the home from Emily’s mother (back row, left). “My mother bought her home in 1976 as a single, divorced mom. That would be very unlikely now. No way would that be possible today unless she worked at a hedge fund,” Emily says. According to data the The Warren Group released in February, the median price for a single-family home in Newton is $941,000, more than a 23 percent jump from a decade ago. The Nortons are grateful for the space and the amenities, especially now that they have three children, one of whom sleeps in Emily’s childhood bedroom. “Newton is an absolutely great place to live. It’s not like I was coming back to this terrible community. We’re grateful to be in a place that we might not have been able to afford otherwise,” she says. In fact, Emily is now an alderwoman, and her local connections have helped, as many old friends have returned home, too. 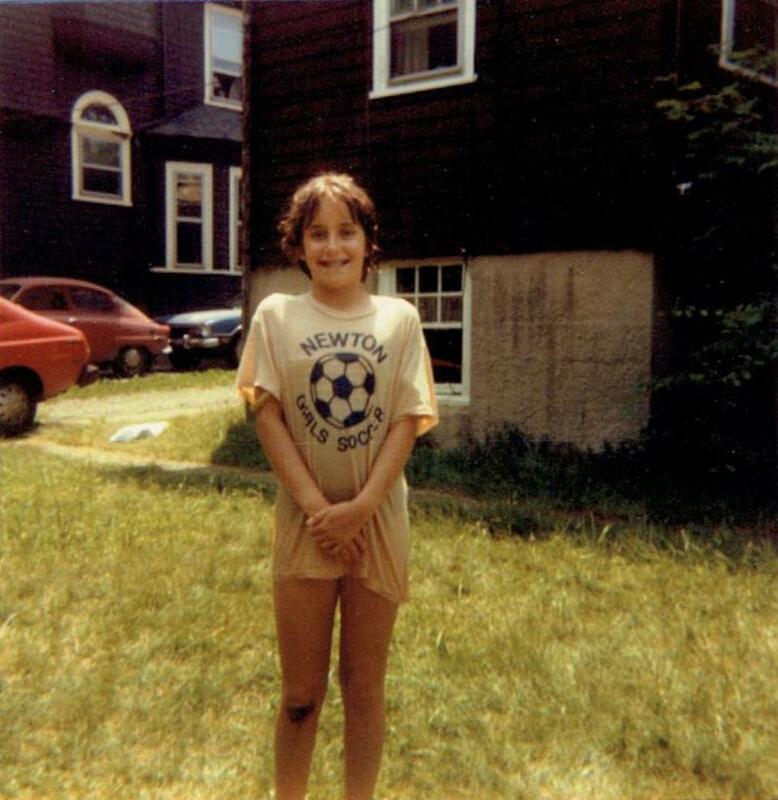 Emily Norton in the yard of her childhood home as a child. For others, the schools are a strong draw. “I’m seeing plenty of people who move back to their hometowns with children, looking for a good school system that they’re comfortable with,” Taranto says. Meagan McKiernan outside her parents’ home in Boxborough. This was true for Meagan McKiernan, whose parents relocated from Lowell to Boxborough for the schools when she was in junior high. 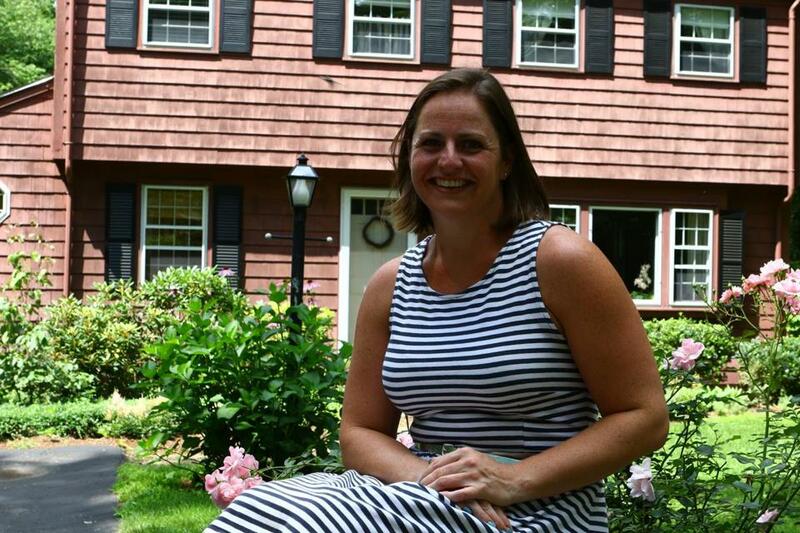 Fast-forward a few decades: McKiernan and her then-husband moved from Somerville to Boxborough when their daughter was 4 and they had another child on the way. “It was all those things you figure your parents went through: ‘What’s the next step? Where do we go?’ Somerville was fun and fantastic, but the Boxborough schools were a big factor, and we were both ready for a more rural setting and more space instead of sitting on our fire escape and seeing 19 other rooftops,” she says. They found a modest three-bedroom home and welcomed a second child, a son. Eventually, McKiernan and her husband divorced, and the Boxborough move had an unexpected benefit; not only is she around the corner from her parents, she’s connected with old friends who have provided support. McKiernan now rents her finished basement to a newly divorced woman who was on the high school swim team with her. “Going through that life change, it’s comfortable to be with someone who understands and to have another adult around the house. It’s like having a roommate, but we’re grown-ups now,” McKiernan says. 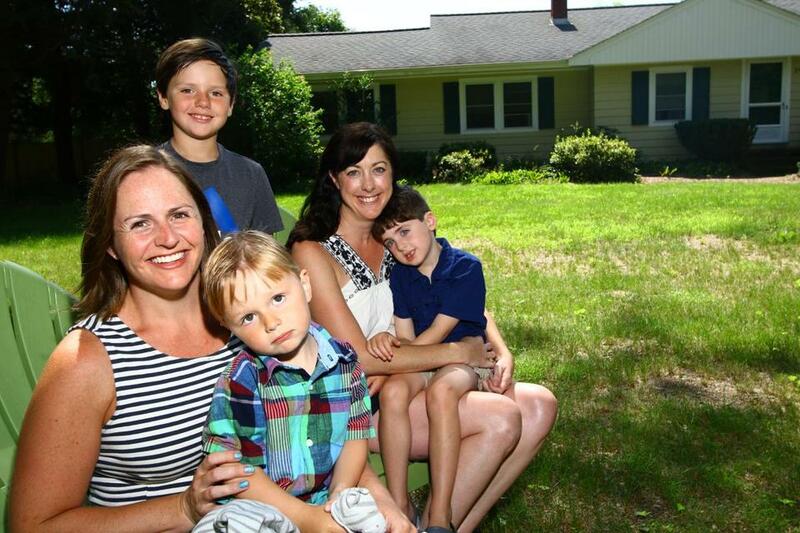 McKiernan and her kids, Oisin Barry, 3 and Aisling, 7, and her roommate and high school friend, Mary Larkin and her son, Patrick Quinlan, 4, at McKiernan’s Boxborough home. Is it tempting to revert to a high-school hierarchy, though? (cue Bruce Springsteen’s “Glory Days” here, please.) While McKiernan does see familiar faces around town, there’s no pressure to hang out, she says. “Sometimes I’ll drive down certain roads and have flashbacks of nostalgia or pass an old-friend’s house, but there’s been almost 20 years. In those two decades, everyone has had different life experiences. Mainly it’s just great to meet certain people as adults and see how much of their character has remained in tact, but there’s no obligation to reconnect. If we do, it happens organically,” McKiernan says.